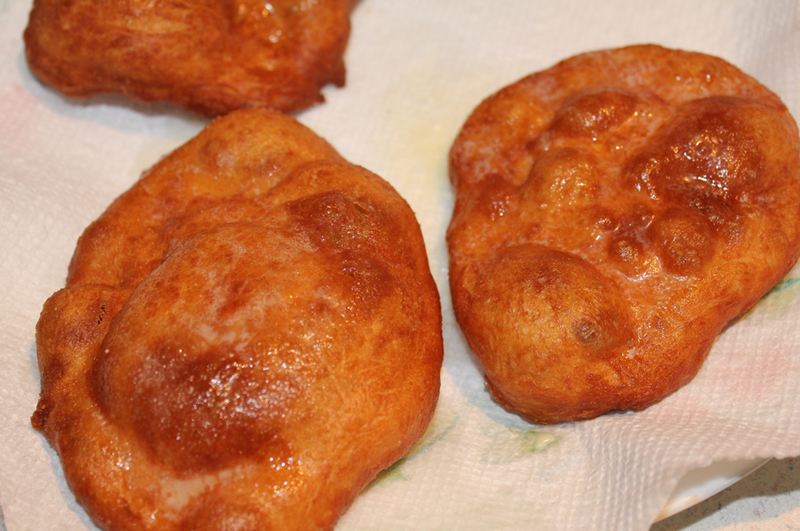 One of Captain Cavedwellers most favorite things on the planet is fry bread. Anytime I make yeasty bread dough, he begs and pleads for me to fry up a few pieces for him. Since I kind of like him, I usually relent and let him have his grease-soaked carb fix. 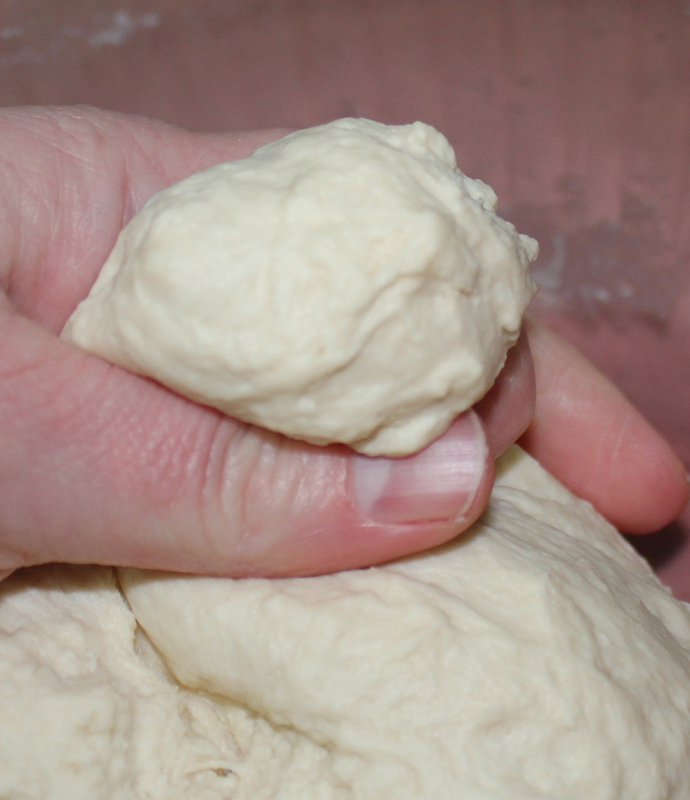 This is really fast and easy to make, especially if you already have bread dough made. And if you absolutely don’t want to make your own dough, you can always find it in the freezer section of your grocery store. Pinch off a piece of dough, about the size of a golf ball, roll into a ball and then flatten it until it’s only about a 1/4 inch thick. Using a heavy saucepan over medium heat, pour in enough oil that it covers a good couple inches or so of the bottom of the pan. 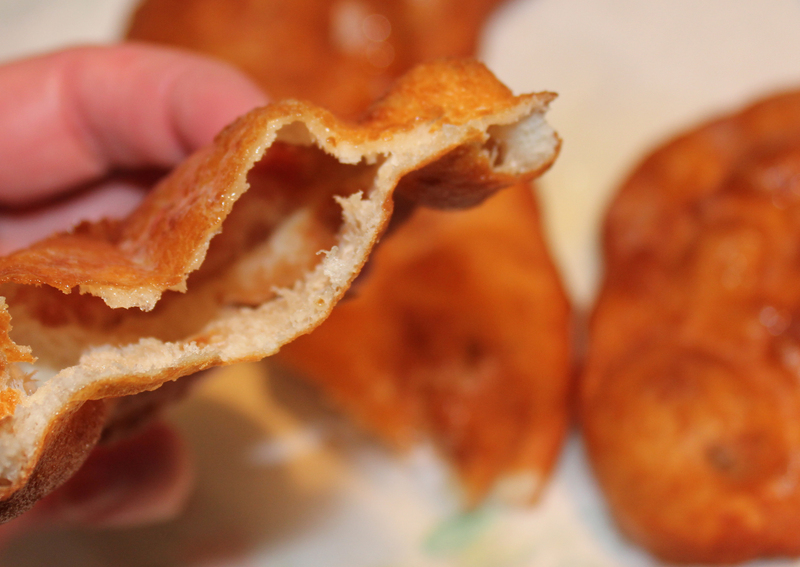 To test the temp of the oil, drop in a tiny bit of dough. If it sizzles when it hits the oil, it’s showtime. 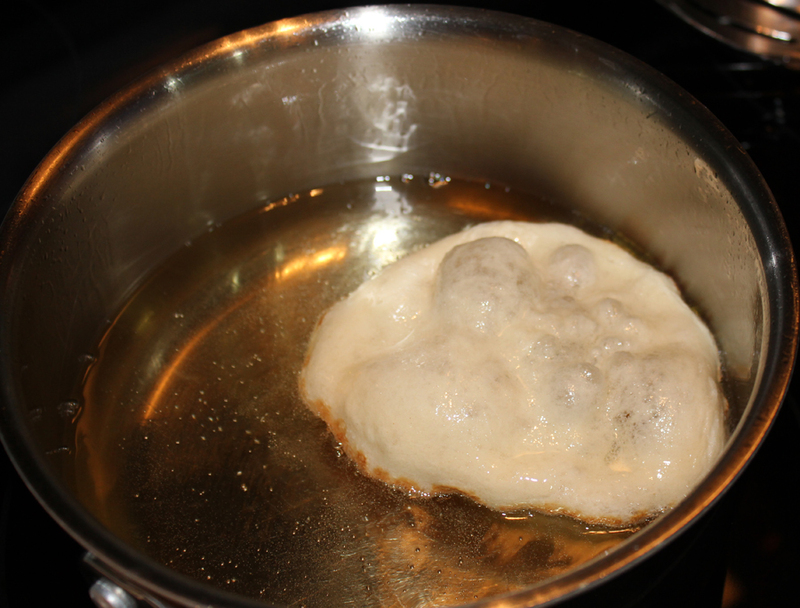 Carefully slide your piece of flattened dough into the hot oil. I like to use a long-handled fork, just make sure you keep your fingers far away from the hot oil. Brown on one side (takes not even a minute, so watch it carefully). You’ll see the edges start to turn brown. Flip it over and brown the second side then place on a paper-towel lined plate to absorb the excess oil. Captain Cavedweller will wait only until he thinks they won’t produce third degree burns on his tongue before he takes a bite of the hot, crispy bread. 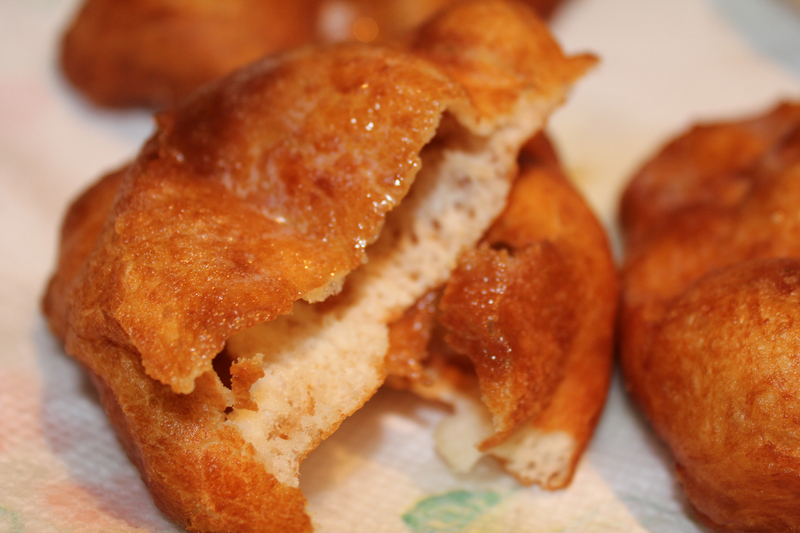 I prefer to wait a little longer, liberally sprinkle mine with powdered sugar and then devour the airy goodness. You can top with cinnamon and sugar, jam, fruit preserves, whipped cream or pile on salsa, cream cheese, taco ingredients – whatever floats your boat!